Have you wondered about what it would be like to visit the United States Holocaust Memorial Museum in Washington, DC? Perhaps you have toured the emotional halls of history in our nation’s capital. Perhaps not, but in any event what is housed in that building is history that we can not forget and lessons learned that future generations must learn about as well. That opportunity has come to Phoenix and it is quite touching to behold. 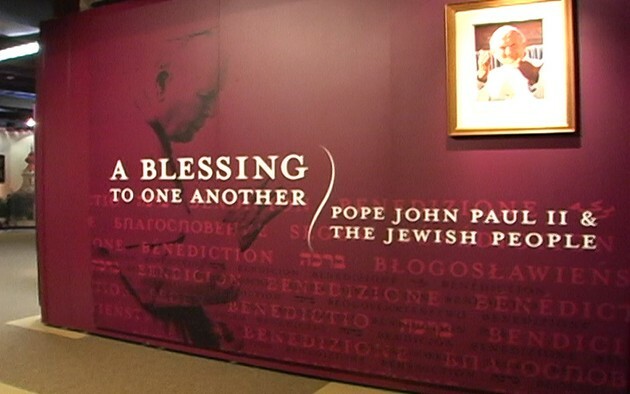 Called A Blessing to One Another: Pope John Paul II and the Jewish People, www.blessingprojectaz.org, I was invited to see it for myself and I left deeply touched by the irony of the exhibit, which shows the worst of mankind, and at the same time, the best of mankind. Housed in the historic George Washington Carver Museum (the one-time Phoenix Union Colored High School), www.carvermuseum.com in downtown Phoenix, the venue is unique and has its own history to share as well. I was moved, heartbroken and inspired, all at once, as I made my way through the pictures and the stories. I immediately understood why more than a half-million people across the nation have come to see this traveling exhibit that chronicles the childhood friendship of Karol Wojtyla, later known as Pope John Paul II, and Jerzy Kluger, who became the Pope’s personal emissary to Israel. I learned about this friendship between a Catholic boy and his Jewish friend that laid the groundwork for an historic reconciliation that shattered 2,000 years of painful history. As I proceeded through the four major sections of this astounding multi-media exhibit, I observed that the four periods of the Pope’s life were brought to life for us to really see, feel and consider. I was transported back in time to imagine those historic and dark days….and then the hopeful times that followed. In section one, I was profoundly struck by the normalcy of every day life in a pleasant town in Poland called Wadowice. This is where the future Pope and his friend, Jerzy spent their childhood. Pictures, children’s report cards, interviews with former residents and other interesting artifacts explore Jewish life in Wadowice, as well as the interaction between the Catholic and Jewish communities. It reminded me of my own peaceful current-day community and to think that the Nazi occupation was just around the corner, seemed unreal. But it became all so real as I proceeded through each section. I was deeply touched by how the exhibit’s founders chose to show the horrors of that time with pieces like a heartbreaking pair of child’s shoes that were taken from the concentration camps. 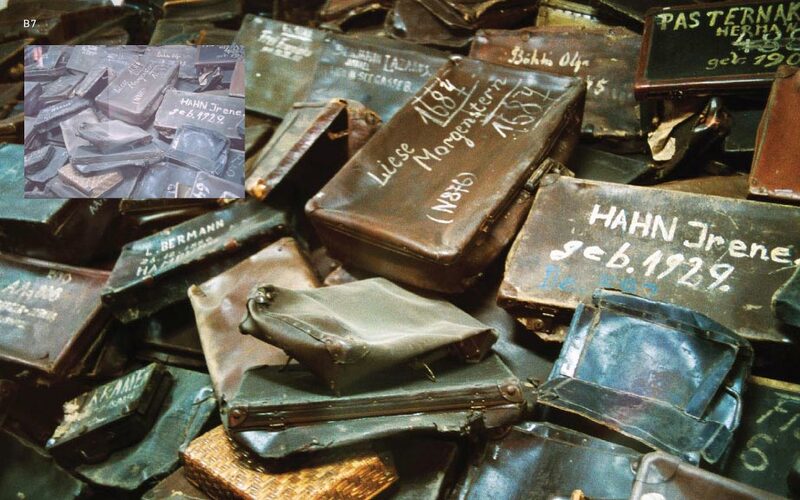 Or this picture, which shows stacks of suitcases that belonged to Hitler’s victims. This part of history is hard for me to wrap my brain around and this part of the exhibit left me heartbroken. During this time, Karol (later known as Pope John Paul II) began his university studies underground, while his friend, Jerzy and his family, were deported to the horrific concentration camps. Tragically, Jerzy’s entire family was killed. Years later when Jerzy is reunited with Karol, now the Pope, the two men work together to begin the healing between their two faiths. The exhibit takes visitors on that historic and hopeful journey in the last section. Amazing stuff to see, truly! This exhibit is so important to see, especially for our young people. 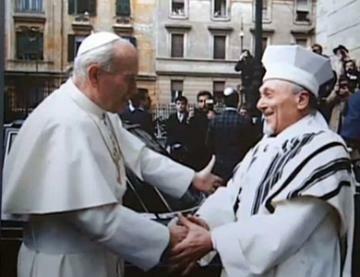 Through the extraordinary friendship between Pope John Paul II and Jerzy Kluger, it is proven that healing and harmony can, and must, occur between different faiths, cultures and communities throughout the world. And the painful history lesson of the dark Holocaust days must never be forgotten. Papal chair, vestment, photographs, lectionary and chalice from Pope John Paul 11 visit to Phoenix in 1986. Artifacts from the Arizona Jewish Historical Museum. And much more, all worth seeing, while this historical exhibit is here in the Valley. See it now through December 11th at the George Washington Carver Museum and Cultural Center located at 415 E. Grant in downtown Phoenix. Admission is only $5 and children 12 and under are free. If you decide to take your child, make sure you are prepared to explain the Holocaust. This may be better suited for middle-school and high-school aged children. Hours are Tuesday through Friday from 9 a.m. to 5 p.m. and Saturday and Sundays from 10 a.m. to 3 p.m.
Teachers and parents! Check this out! You can download a curriculum packet for students that was designed by LeeAnn Gast, the retired educational director at the Arizona Science Museum. Just go to www.blessingprojectaz.org. And for more information visit www.blessingprojectaz.org or call 602-274-1113. Thank you for sharing this exhibit with your followers! I too was moved and touched by the photos, video clips and artifacts. It was truly worthwhile and for only $5. Thank you also for sharing the curriculum packet for parents and teachers as well. What a wonderful opportunity to teach our youth about history, tolerance, and respect. Tonya, that is great that you went to see this amazing exhibit! Thanks for sharing your experience upon seeing it here in the comments section. I really appreciate that! The “A Blessing To One Another” exhibit is truly something to see.